There can never be enough Back to School activities, warmers, and first lesson ice-breakers. Check out our latest poster below: "The Ultimate Collection of Back to School Activities". 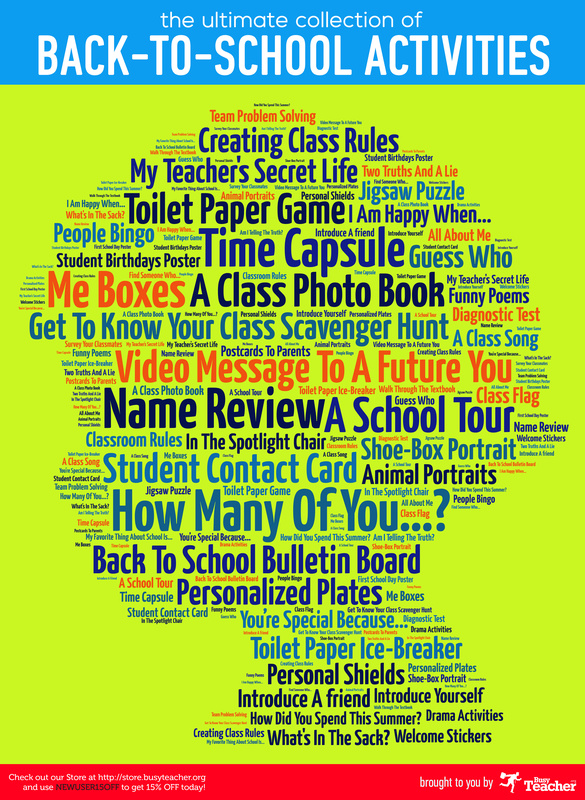 These are the titles of the most popular activities you can do with your class on the first day of school. Most of the activities are self-explanatory. You can easily google the ones you're not familiar with. Let us know in the comments below if something is not clear. Click on the image below to view the full-size poster image [HI-RES] for printing (right-click the full image and select 'Save As'.